I can confirm the bad hold-up time as per http://www.jonnyguru.com/forums/show...ight=ZM750-EBT. But it is even worse actually when you try to interrupt the power for given time (about 10 ms). Just wait for it. I have actually not seen out-of spec ripple this time, however, Aris should be glad he did not overload that thing! It could have easily exploded into his face. And in my to if I would not have had applied burst loading rather than continuous increase in full loading. I expect heavy shitstorm from Zalman if I'll publish this and most likely I will never ever get anything from them again, but thanks to Aris there is proof this model IS crap and they cannot accuse me of nasty things again. Zalman now claims me with Aris got some old revision and they have all new and better revision on the market. Anybody seen that lately to confirm this? How should I tell old and new revision apart? They say there are some "changes on the board" and "differet capacitors". I would say the caps would be better option to tell them apart, my idea is they either have better capacity or were switched for some quality ones. The older version is filled with Teapos SC and some CG polymers. Holy Cap, Pavel, when will you ever learn that necessary bit of diplomacy? 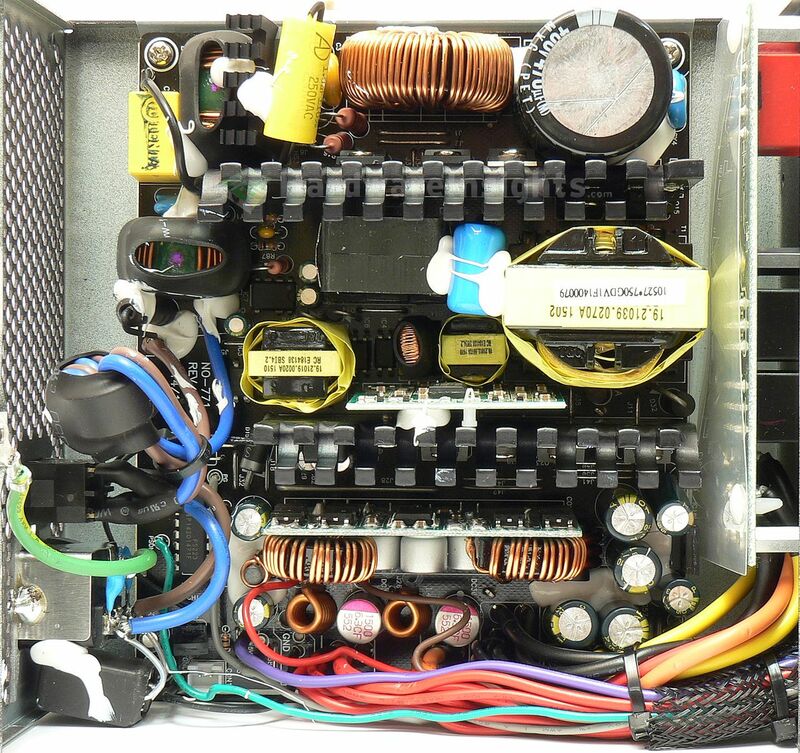 There's no "diplomacing away" the fact that this PSU is unsafe. Sure, if everything goes according to plans and hopes then there will be no problems. But should there be a brownout, a partial short, an overload, anything really; you may potentially kiss your PC goodbye. That's a red card.